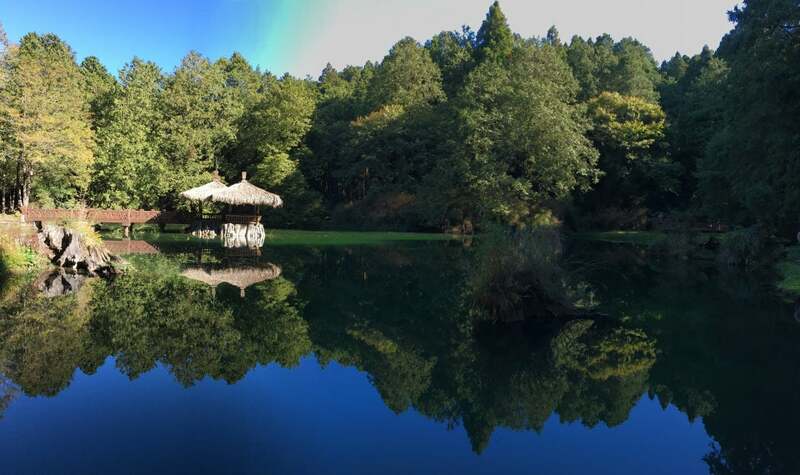 Why Two Sisters Pond is special ? 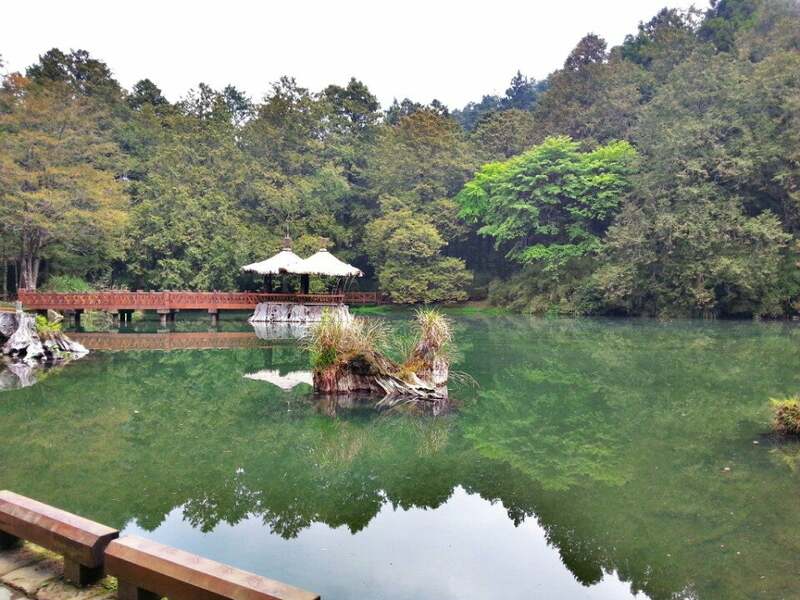 Two Sisters Pond, located within the Alishan Forest Recreation Area, the Alishan Sisters’ Ponds are two of the most popular tourist spots of the area. The ponds are two different sized high mountain ponds connecting to each other. They are renowned for the picturesque natural surrounding sceneries and a sad yet beautiful story. The story is about a couple of Tsou sisters fell in love with the same man. Not wanting to hurt the sisterhood and not able to have the man for themselves, they jumped into separate ponds to end their lives, which are now known as the Elder Sister Pond and Younger Sister Pond. Two cypress pavilions known as the “Missing Pavilions” with wooden bridges connecting the shore were later built on the Elder Sister’s pond with a 180-meter plank surrounding the ponds. What to explore at Two Sisters Pond? The two Sisters’ Ponds are sized differently. The Elder Sister Pond shapes a bit rectangular with a size of approximate 530 sq. m and the Younger Sister Pond is rounder and smaller with a size of 120 sq. m. The pond water is rather clean and peaceful without disturbance, just like a mirror reflecting the surrounded sceneries. The ponds are usually high on water level during summer and rather dry during winter. 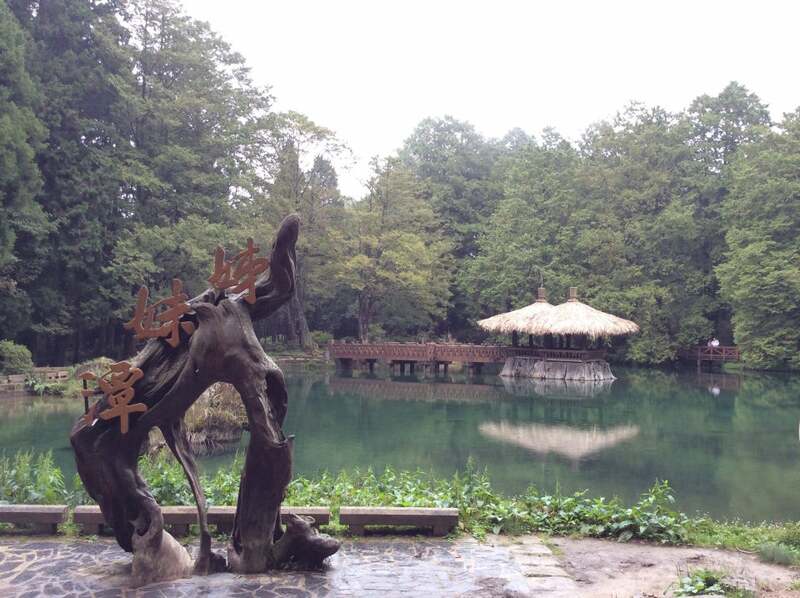 The Alishan Sisters’ Ponds had a hard time in 2002. The ponds were drought and the bottoms were seen for the first time. The nearby ecological areas might have sudden changes with the sky clear and bright in any moment, and mist covering the ponds in the next second. How to get to Two Sisters Pond? 1. Chungshan Highway: Exit at Chiayi→159 County Highway to Chiayi City → Go on Tai 18 Province Highway (Shihsian Rd., Wufong South Rd.) then go on Alishan Highway to go up to the mountains → Pass Chukou, Longmei, Longtou, Shihjhuo and keep going then you will be there. 2. The South 2nd Highway: Exit at Jhongpu → Towards Chukou, connect to Alishan Highway to go up to the mountains → Pass Chukou, Longmei, Longtou, Shihjhuo and keep going then you will be there. Ride the Chiayi County Bus at Chiayi Train Station, the Alishan Line, and get off at the last stop then you are there..
Ride Guoguang Bus at Chiayi Train Station going to Alishan. Ride small train of the Alishan Forest, and get off at Jhaoping Station then you are there. Along the forest plank near the Sisters’ Pond, the Three Brothers, Four Sisters, Golden Pig Lookalike Tree, Hearted Shaped Tree and many others are waiting for your explorations. You should beware of photographers who try to attract tourists to take photos. If you drive to the place, you should fulfill your tank before going up to the mountains. Because there is no 24-hour gas station in the later journey, you must do that at around Dingliou. 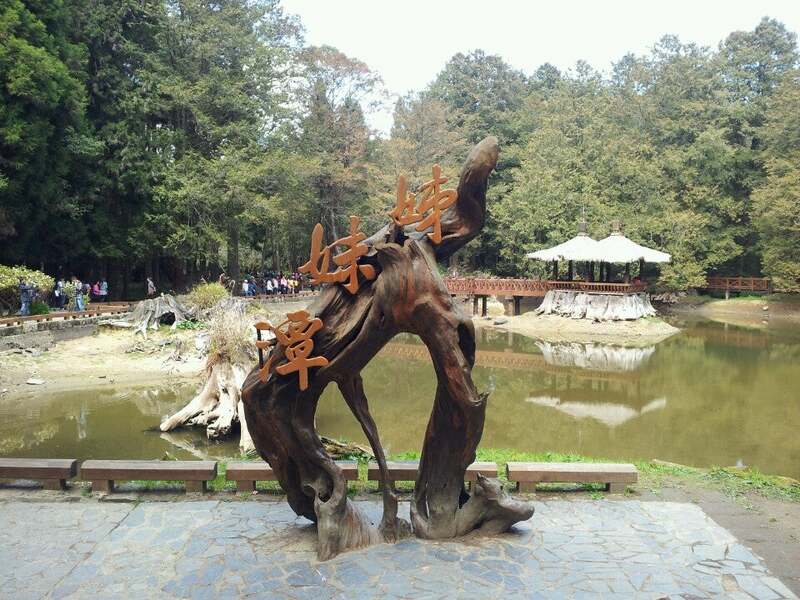 There is a 180 meters trail along the two pond, and a gazebo made by cypress on the Elder Sister Pond. When go visiting, you want to focus more on the changes of the nearby ecological areas. If it is a time when there is lots of water in the pond, you will understand how valuable the beautiful scene is.